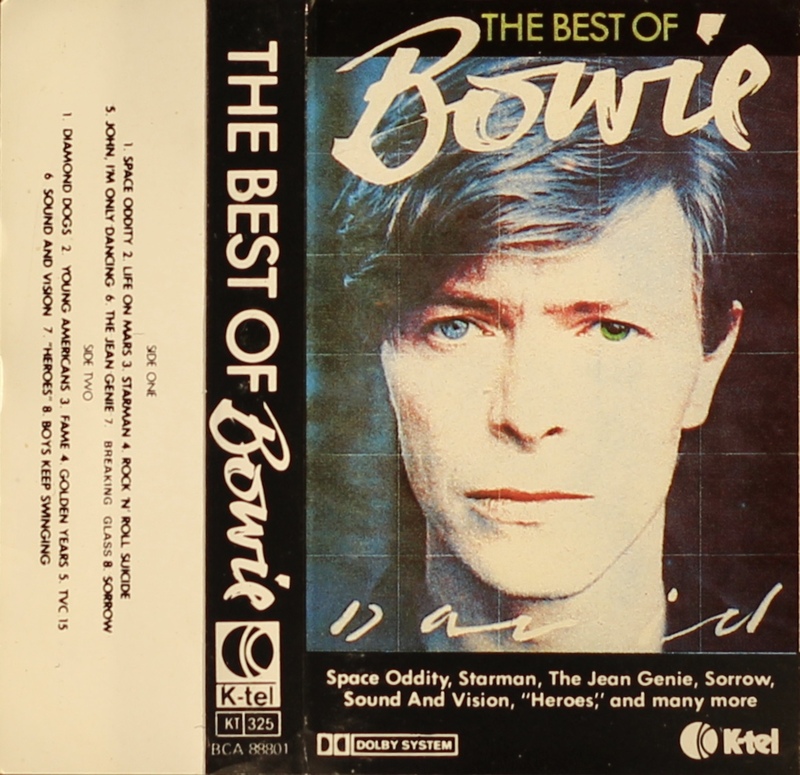 The Best Of Bowie: France; K-tel, BCA 88 801; 1981. 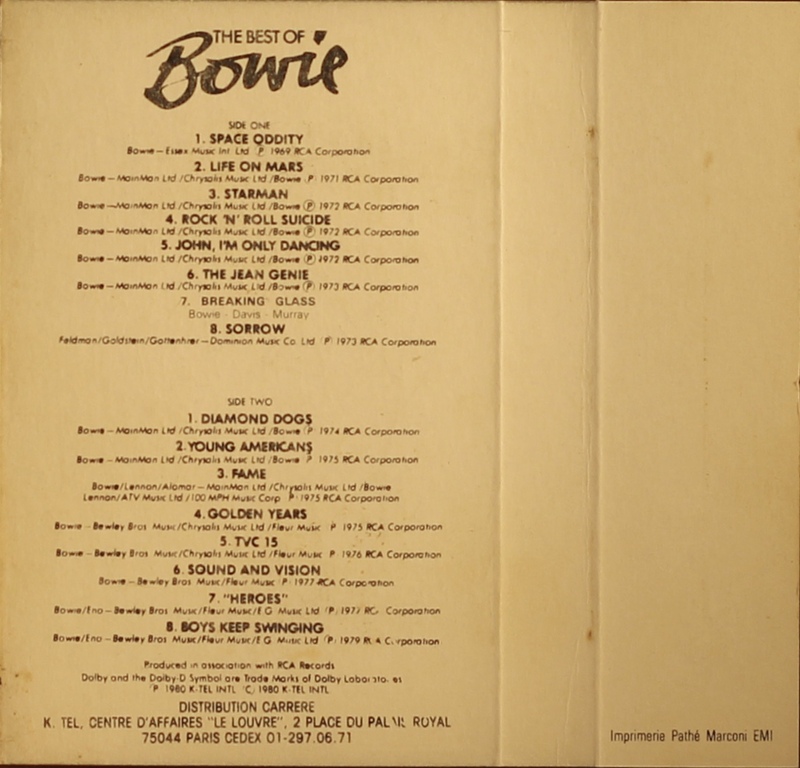 Black header and footer and spine, white rear and inner panel with track list on rear and inside panel. The cover is treated, folded card. The typeset of ‘Breaking Glass’ suggests it is a late addition. 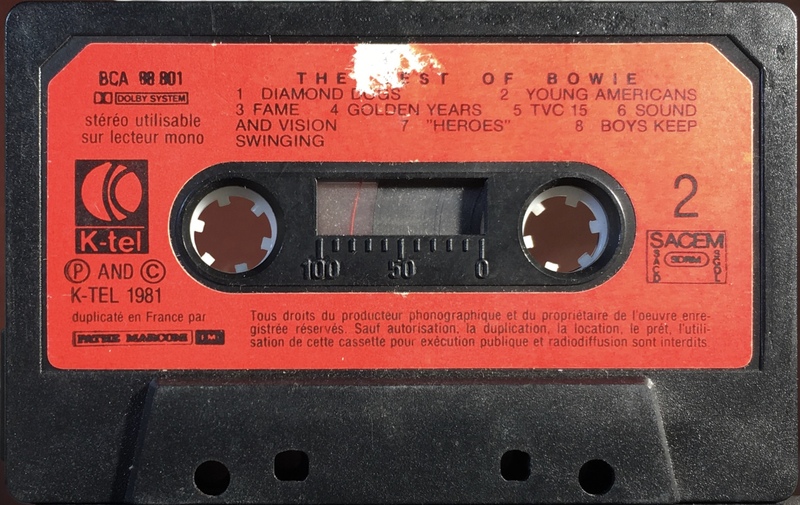 Black ink on red label onto black shell with ‘K-tel; duplicaté en France par Pathe Marconi and EMI’. 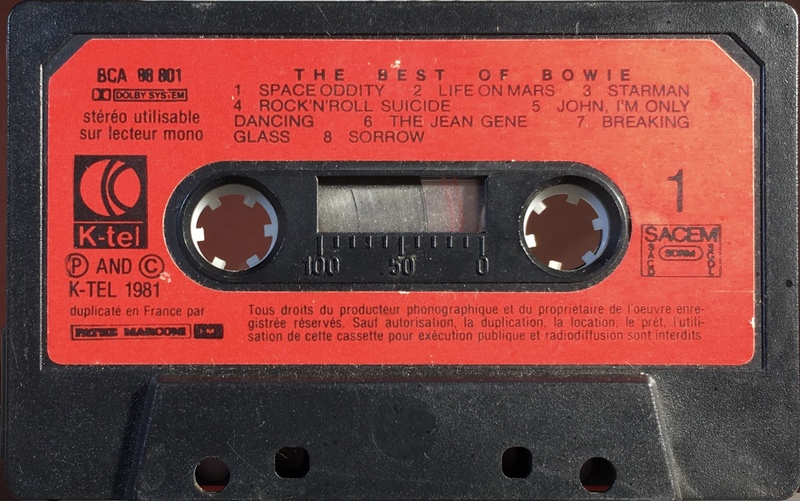 SACEM rights. 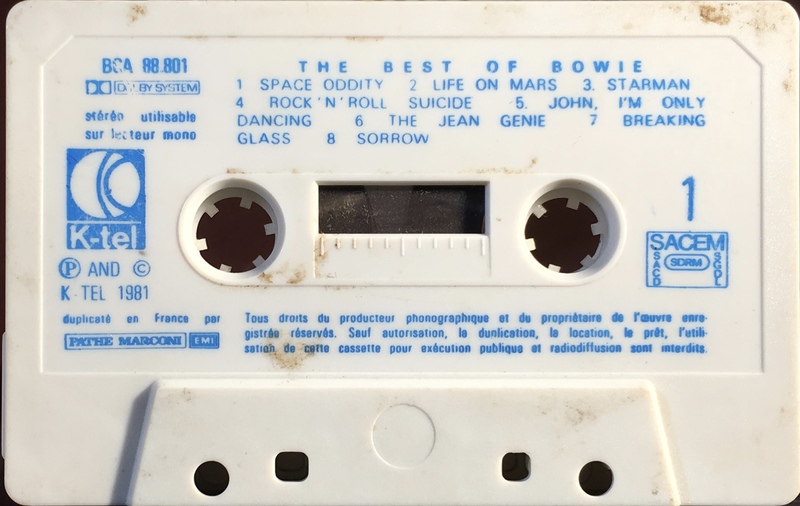 Side 1: Space Oddity; Life On Mars; Starman; Rock ‘N’ Roll Suicide; John I’m Only Dancing; The Jean Genie; Breaking Glass; Sorrow. 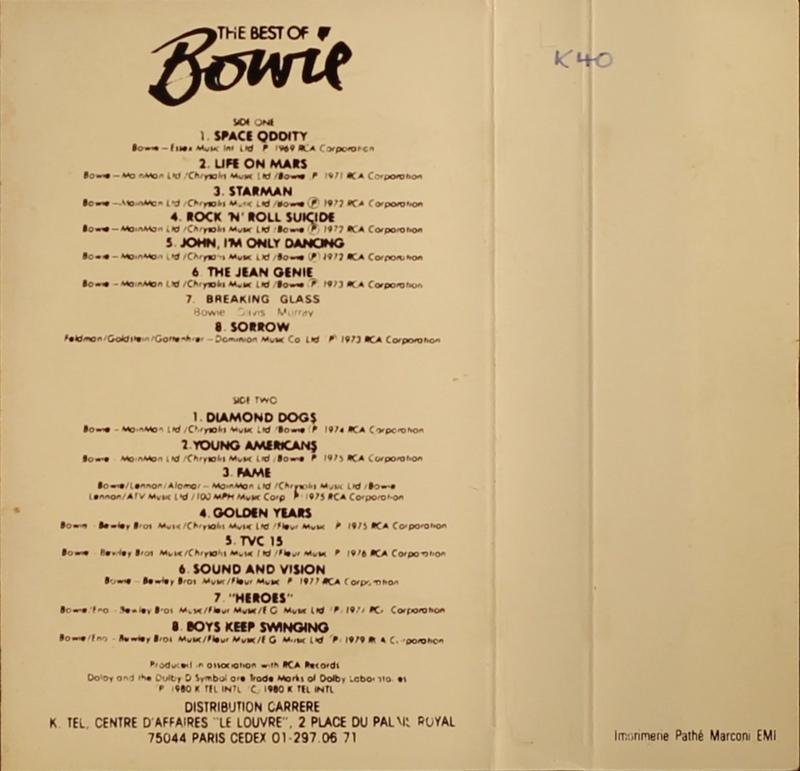 Side 2: Diamond Dogs; Young Americans; Fame; Golden Years; TVC 15; Sound And Vision; “Heroes”; Boys Keep Swinging. Black header and footer and spine, white rear and inner panel with track list on rear and inside panel. The cover is treated, folded paper. The typeset of ‘Breaking Glass’ suggests it is a late addition. 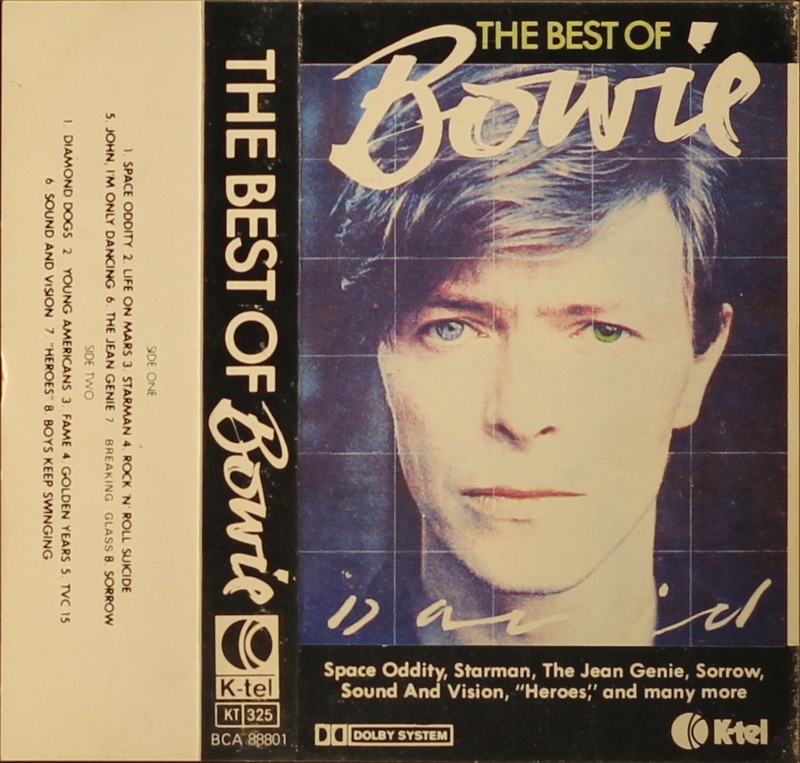 Blue ink printed directly onto white shell with ‘K-tel; duplicaté en France par Pathe Marconi and EMI’. 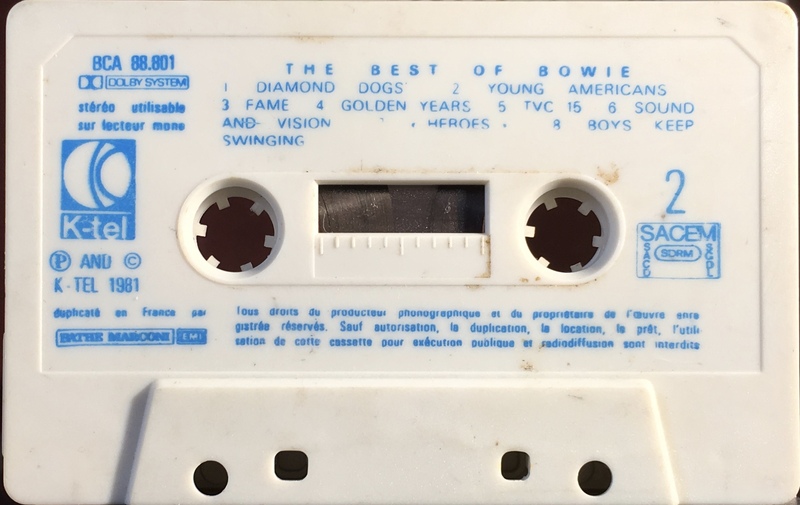 SACEM rights.